To be honest, I was put off by the sound of it: golden milk. I was born highly lactose intolerant, so dairy has never really been my thing, but milk especially. The thought of drinking a glass of milk repulses me (even if it’s plant-based). And the word “golden” before the word milk just didn’t sit right with me. But I checked it out anyway. And I’m SO glad I did. The golden namesake comes from the star of the show: turmeric. 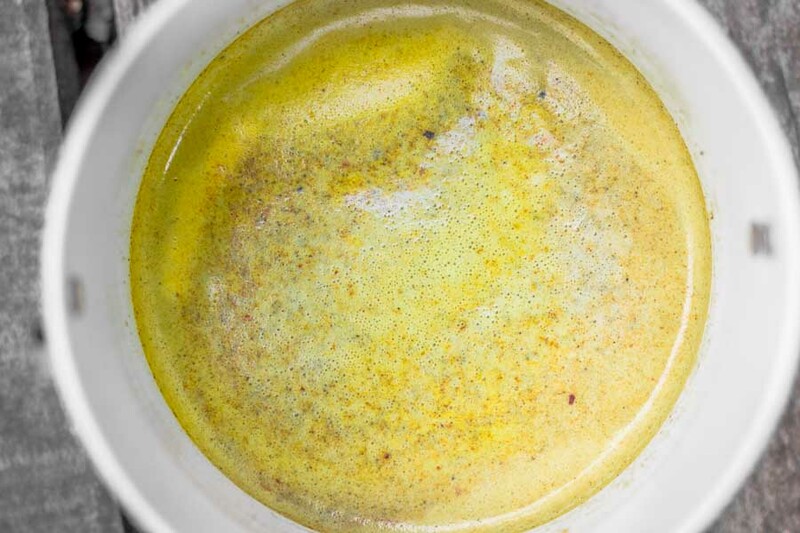 We are longtime turmeric fans, so I immediately pushed aside my doubts and became obsessed with learning more about this Golden Milk craze. 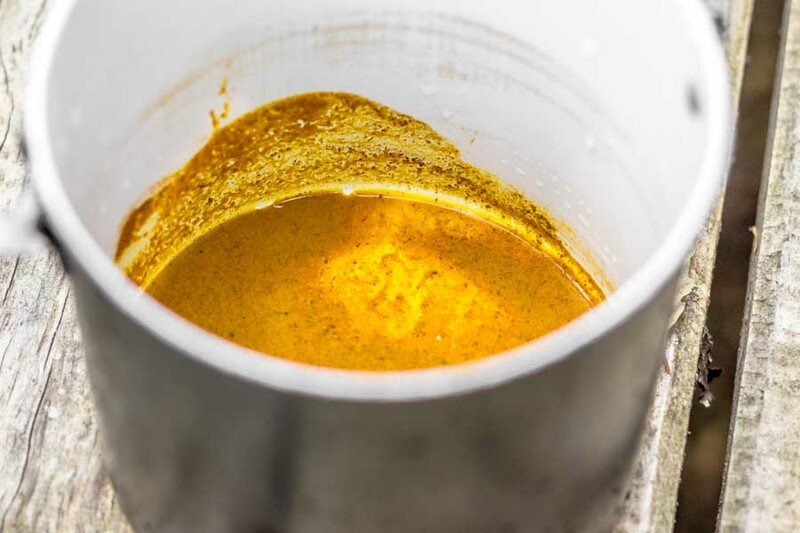 Turmeric is a bit of a wonder spice. We take it in capsules every day as an anti-inflammatory after a long day of riding. I take it regularly when I train for marathons and Dave took it religiously after shoulder surgery, cutting his healing time in half. We made a paste and put it on Sora’s paw and in her food while recovering from her cancerous tumor removal. When paired with black pepper, the absorption levels increase by 2000%! I tried to insert the science-y explanation, but after my failed attempts of having it make sense, I think it’s better that I simply refer you here and here. Further, my version of this vegan golden milk contains several of my other favorite super spices like ginger, cinnamon, and chili powder. Ginger is highly effective in relieving digestion issues and is effective in the prevention of nausea associated with motion sickness. Also an anti-inflammatory, ginger has shown to reduce the pain associated with osteoperosis and arthritis. Plus, it’s a great immune booster. Cinnamon contains anti-microbial properties and is known for its ability to help stop the growth of bacteria as well as fungi, including the commonly problematic yeast Candida. It also helps prevent blood clots, controls your blood sugar, prevents heart disease, and boosts brain activity. 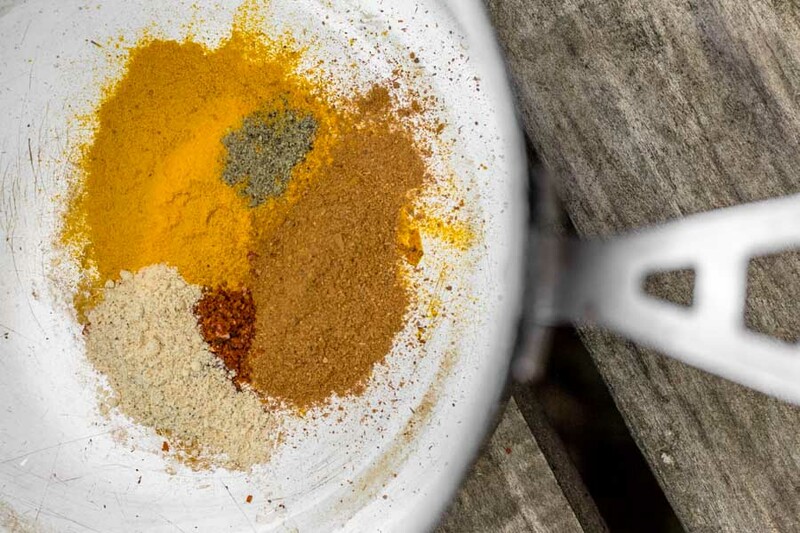 Chili powder contains capsaicin (as does turmeric) and therefore also helps fight inflammation. 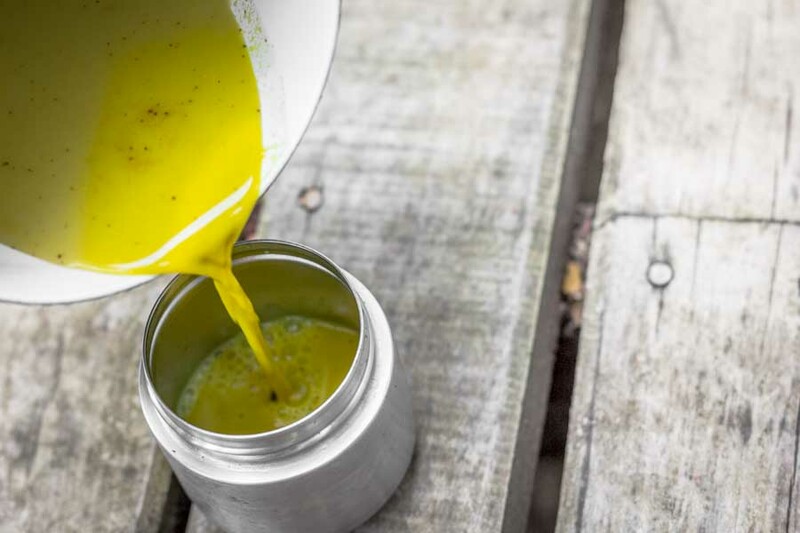 It is a natural pain reliever and demonstrates great benefits for the cardiovascular system, such as the reduction of blood cholesterol, triglyceride levels, and platelet aggregation. Another immunity booster, hot peppers also help clear congestion. It didn’t take much to sell me on Golden Milk. I scoured the Chilean grocery stores for soy milk (NOT an easy feat!) and began testing recipes immediately. This recipe is warms my whole body on a chilly morning and tastes a bit like chai masala, my favorite winter beverage back home. 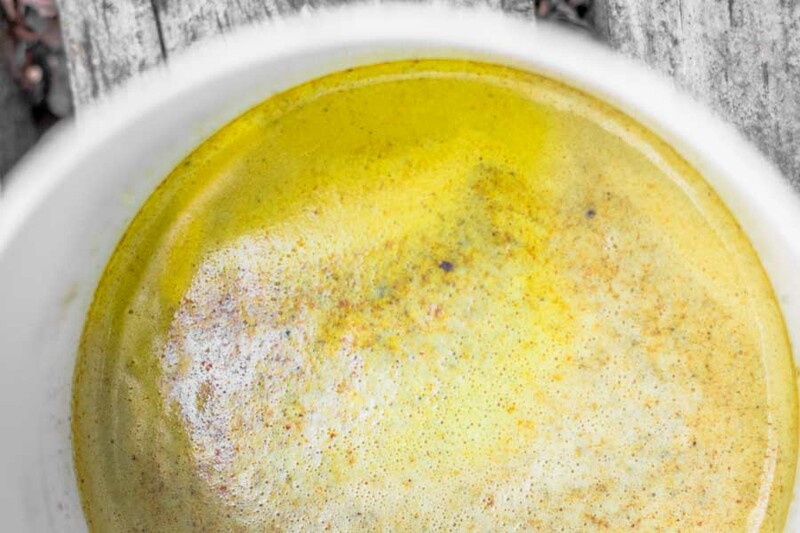 Please let us know if you give this vegan golden milk a try by tagging #messkitmaven on Instagram! 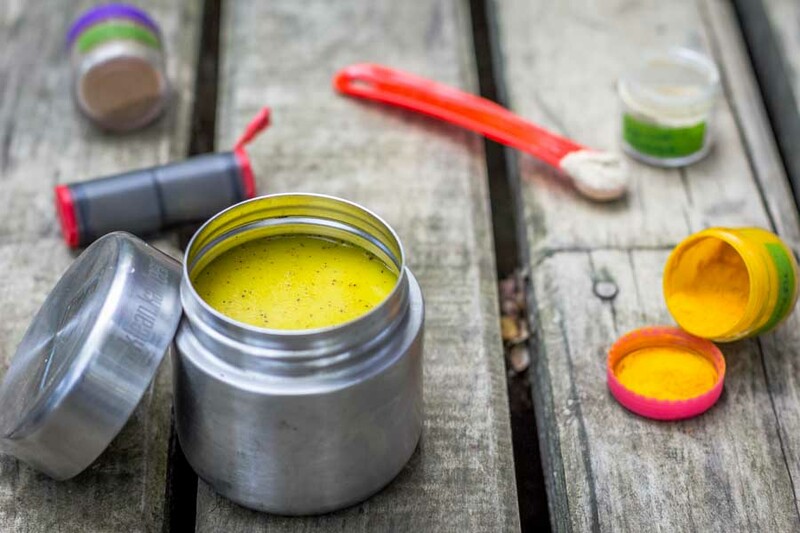 Filled with a host of anti-inflammatory spices, with turmeric as the star, this vegan golden milk is the perfect drink for any active individual. 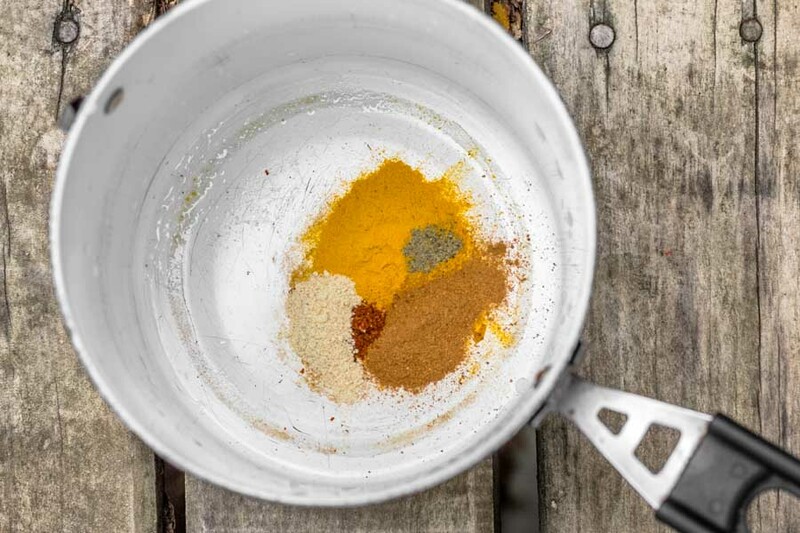 Add all the spices to your pot along with the tablespoon of water or milk. You want to create a thick paste and combine well so all lumps disappear (see photo above for reference). Add 2 cups of your plant-based milk and stir together until the milk becomes golden in color. Set your camp stove to medium heat and stir regularly. You don't want the milk to boil, but rather reach the point where it begins to foam (see photo above). This stuff boilers over quickly and suddenly, so don't turn your back on it! Allow to simmer/foam for 5-7 minutes until it reaches your preferred drinking temperature. Stir in the vanilla and sweetener and separate into two mugs. * I found maca powder at La Vega produce market in Chile and added about a teaspoon for a nice nutty flavor. Score. Very unique and wonderful concoction. Like you, I do not drink milk but using a substitute would make a lovely drink. Thank you for the recipe. 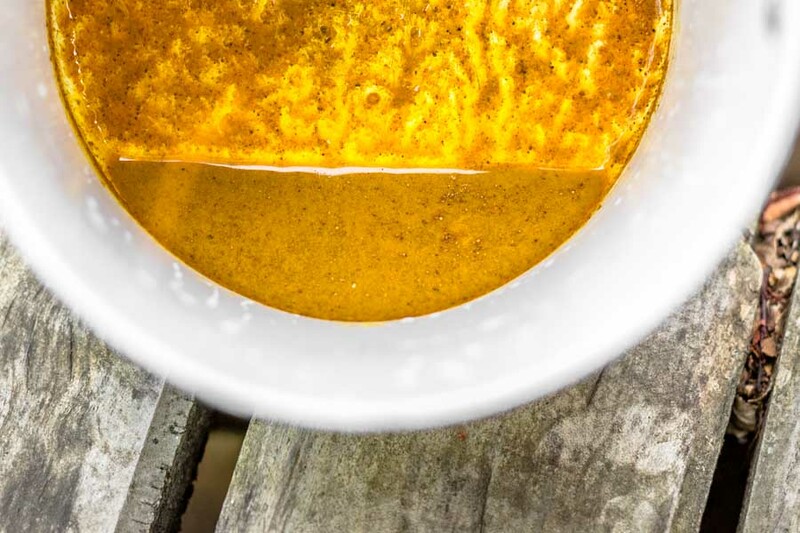 In India, for centuries people have recognized the medicinal values of turmeric, and milk with a spoon of turmeric powder dissolved in it is given to anyone who has had an injury or inflammation. It’s incredible that India has been doing this for centuries and it’s only now gaining popularity in the rest of the world. I dream of visiting India and indulging in all of the amazing food there. Haha, yes, this might not be the best drink to have in the sweltering heat! 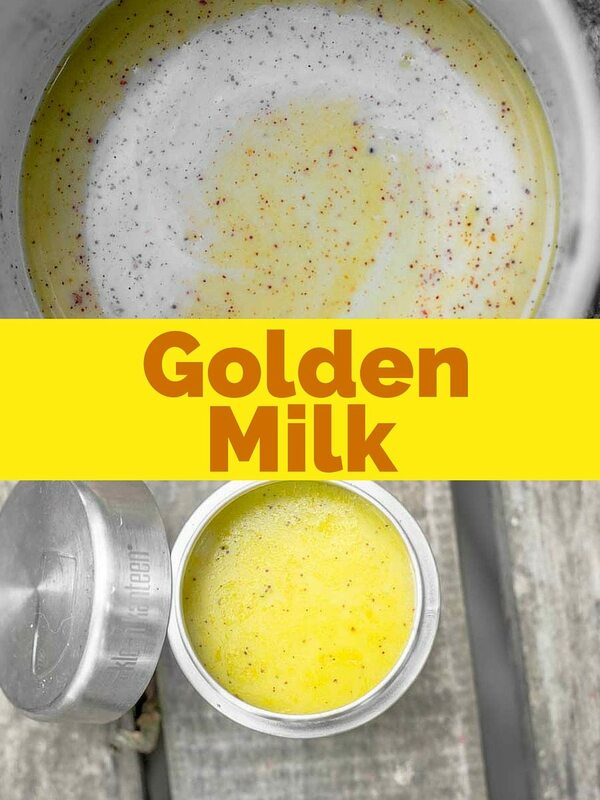 I’ve seen other bloggers make iced golden milk, so that could be an option! Being an Indian Turmeric Milk is my first preference over OTC medication. It really helps to fight with common cold and sore muscles. Perfect to deal with menstrual cramps too. It’s just such a universal cure-all. It’s helped tremendously on many occasions for a variety of problems! I’ll be hinest – I quite like regular milk, and my kids love a cup of cocoa. Like the idea of this though. Must try it. Funny – my mother makes something similar in Keralan cooking (India) – the yellow turmeric in the milk stains like there’s no tomorrow. I was a messy child and remember that well. We put it over rice as a sauce. Haha, I guess you’d have to have a patient mother if you give something like that to a child! All of my spoons and bowls and pots are stained yellow from the turmeric. I never thought of putting it over rice – that’s a brilliant idea!